When a bride imagines the perfect, fairy tale wedding, one of the first things that comes to her mind is most likely going to be the wedding dress she wears on that day. Though the shoes on her feet may not be the first thing she envisions, they play an important role in going with the bridal ensemble. Finding the right pair of shoes that goes with the outfit and is comfortable enough to wear for the whole day is crucial to the look and feel of a wedding outfit. 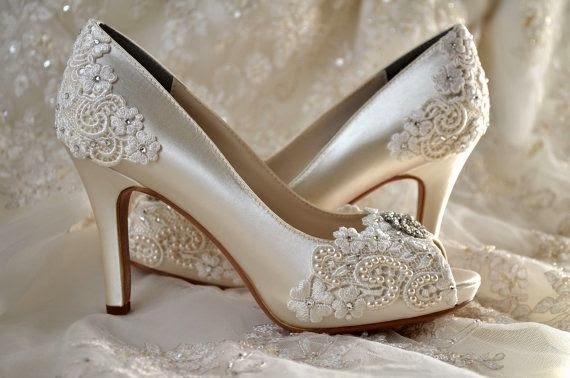 Satin wedding shoes can fit this description and are good to consider. They aren't too expensive, they look beautiful, they come in a variety of styles, and they can be used for bridesmaids as well as for the bride. No matter what type of bride you picture yourself to be, you can find satin wedding shoes to match your look and your comfort level. There are open toed and closed toed shoes with all size heels. There are also ballet flats or even slippers, if you want to have comfort but still look elegant. If you're into a more unique look there are even satin wedding boots that you can get. 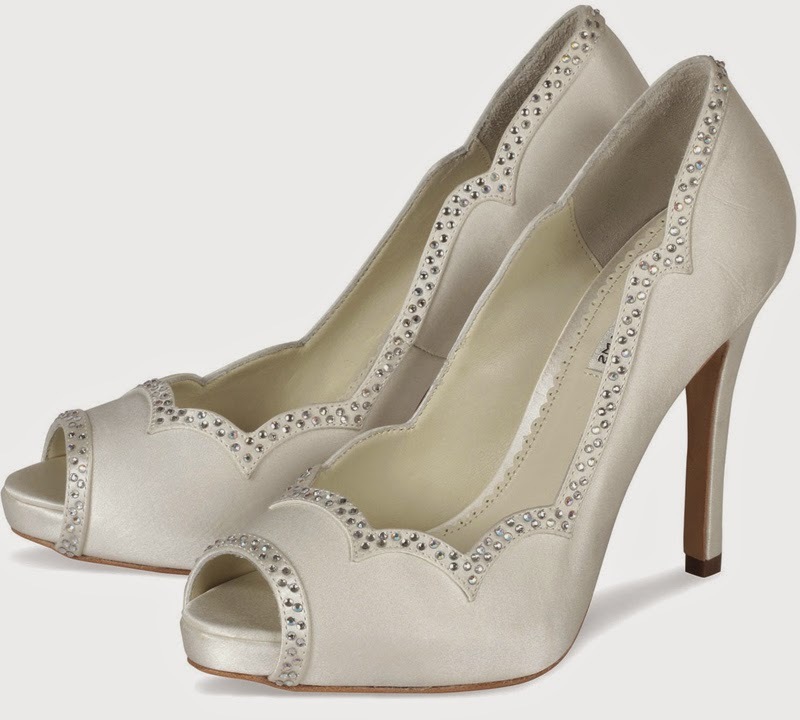 If you want a plain, simple white wedding shoe you can find that without a problem. If you're into a little more color or sparkle, there are lots of shoes that add bows, flowers, rhinestones and glitter. No matter what style you buy, you are sure to find a beautiful looking shoe that will go with your wedding dress and your style. 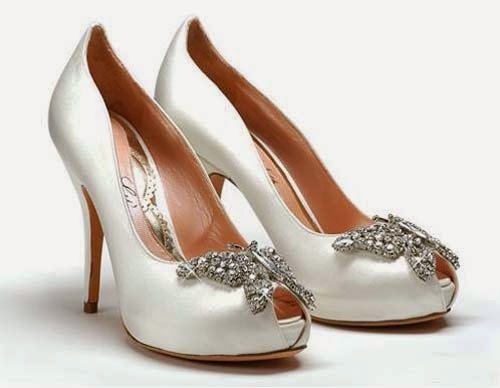 If cost is something that you are concerned about, the good news is that satin wedding shoes are affordable. You can find them at stores such as Payless Shoe Source and many other discount shoe stores online. 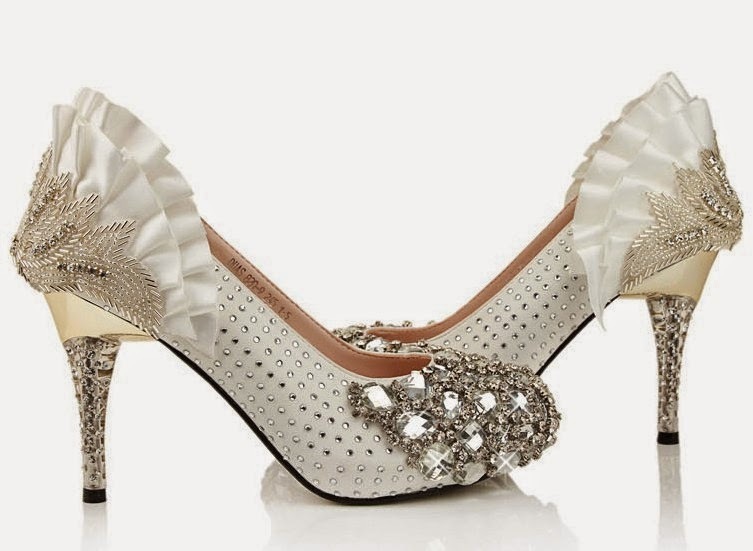 With so many other wedding expenses and fees, it makes sense to look for a good, beautiful shoe at an affordable price. Some styles are available for as little as $30, with most averaging between $30-70. If you search around at different stores and online you are sure to find a bargain.